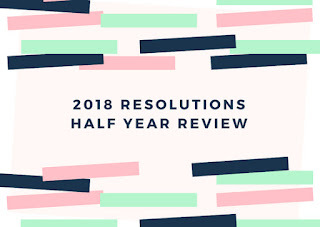 Half of 2018 is over! Did you accomplish anything from your resolution list from January? Are you working towards your annual goals both at home and work? I couldn't believe my eyes as I filled in my month budget. The year is half way over and all I could think about where did the time go! I revisited my resolution list and hoped that I didn't get too far off course. I also had to remind myself some things that I might have forgotten to work on. My lists usually are on my cork board, but I moved it. Out of sight is out of mind! I'm happy to report that I have lost 14 lbs so far! It is amazing how quickly the weight fell off. I have not done Whole 30 yet. I actually got in the floor and did some exercises and yoga. I pushed myself to the limit a few times a week and I saw results. I believe I will hit this goal. If you have been following us for a while, you might be wondering, what happened with our debt. Our last update was March 2017. Well we have been super busy! 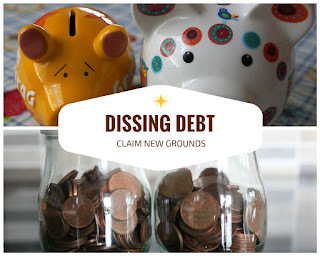 We've Dissed another $21,581 Worth of Debt in 11 months!! !After we paid off our car in early 2017, life happened. We adopted a baby! Now that we are on the other side of all that work, I have noticed how much disposable income we had in the household. If someone would have told me to come up with $20,000 dollars by the end of the year, I would have just laughed. 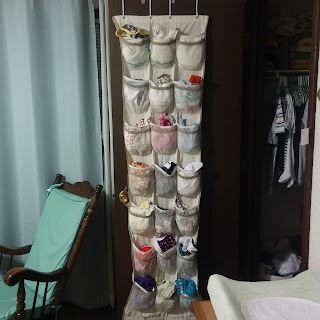 We love Cloth Diapering! After 8 months, Hubby and I are still elbow deep in cloth diapers, by choice! Despite the opinions of our friends, it isn't gross, it isn't a waste of my 'precious' time and its not just for Hippies. I have really enjoyed my son's colorful soft scoot across our floor lately. Cloth Diapering has made a serious come back and they are so adorable! If you are a parent, you probably have heard of cloth diapers. If you need a break down of what are modern cloth diapers, please check out here. The day that I didnt speak to my baby was a day that I learned so much about communication. Seven month olds can't speak. They can't read our minds and we can't read theirs. Communication has to come in a different form when it comes to babies. About a week ago, we woke up early Sunday morning with a crying and hot baby. He had a fever. The fever broke later that day but a stuffy nose, cough and sneeze replaced it. On Monday, I woke up with whatever he had. For a whole week, we swapped this nasty cold. Even my husband came down with the cold. By the weekend, I was losing my voice. By the following Monday, I was hoarse. When I tried to talk, Baby E would jerk away and cry. I sounded like I was stuck in a vacuum cleaner. I couldn't talk. So it began, the day that I didn't speak to my child. This is what I learned. 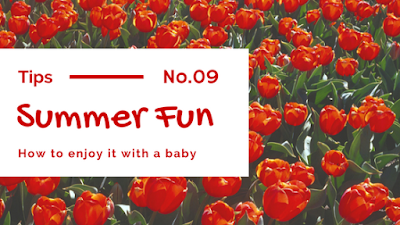 When you have only little children in your home, Summer can seem like a chore. Day care is open but is optional. We learned that day care can have limited spots for the toddler and pre-school rooms. So what are you going to do with all that time on your hands? I have suggested 9 fun activities to make things run smoothly without too much guessing. My goal was to spark a thought of something that you can do so that you can enjoy the sun. Since we have snow from November-April, we take full advantage of the weather. Hubby and I live by our calendars. It allows for us not to miss special events. If you are like us, grab your calendar and get to planning the 100 Days of Summer. Find the local swimming hole and take a dip. Our goal is to take our son to various swimming pools around town throughout the summer. This is a win-win as we love to cool off too.